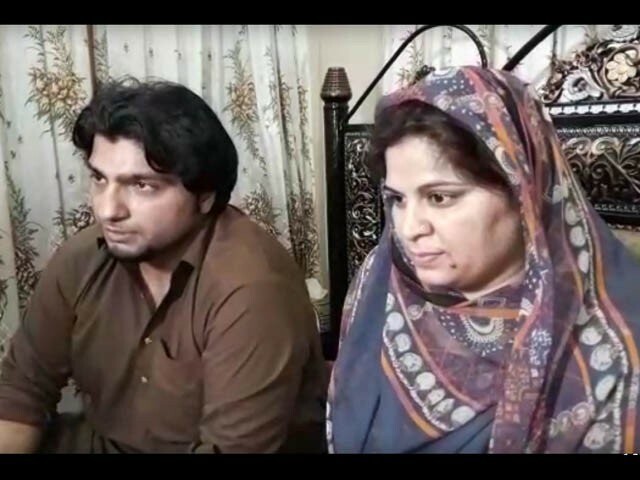 An Indian woman who was allegedly subjected to torture by her former husband has travelled to Gujranwala to marry a Pakistani man. Tina, who lived in Indian Punjab’s Chandigarh, crossed the border to marry Gujranwala resident Suleman. She has also embraced Islam, according to Pakistan’s Express-News. Suleman said he has videos in which Tina is being thrashed by her former husband. The couple began talking to each other on social media in 2015 and moved things forward from there. Tina accepted Islam in Lahore and has now changed her name to Ayesha. She implored Prime Minister Imran Khan to ensure her safety in Pakistan. She also lauded the premier for speaking up against the Indian media’s propaganda against Pakistan. Tina said she entered the marriage with Suleman out of her own free will. “My friendship with Suleman on social media grew into us falling in love with each other,” she said. Suleman requested PM Imran to grant his wife Pakistani citizenship. On the other hand, New Delhi claimed that Suleman forced her to convert to Islam and was holding her hostage. The Indian foreign office claimed that Tina came to Pakistan as she was angered by her former husband and called for Islamabad to send her back.